Manchester United suffered a blow to their top-four ambitions after falling to another 2-1 defeat to Wolves at Molineux. Having lost by that scoreline in the FA Cup last month, United travelled to the Black Country with revenge on their minds but left with their tails between their legs after a third defeat in four games. With results going against him, Ole Gunnar Solskjaer has plenty to ponder ahead of next week’s Champions League showdown with Barcelona. Here, we run through five things we learned from the Wolves game. Like that night in the cup a few weeks back, Paul Pogba had a night to forget inside Molineux. The Frenchman completed just 69 per cent of his passes, was dispossessed on three occasions and lost more duels (10) than any other player on the pitch. 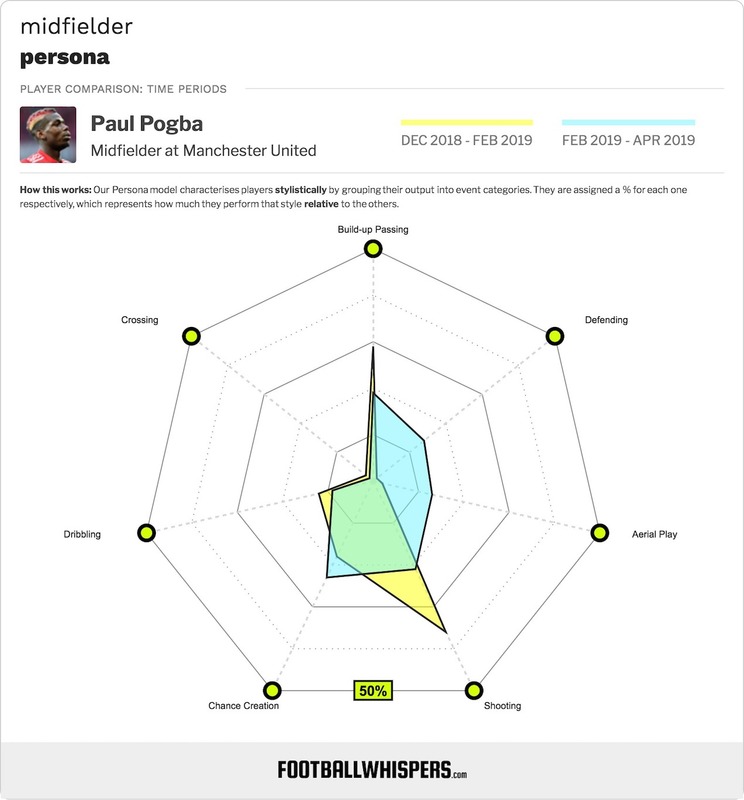 The last stat perhaps relates to the broader concern over Pogba. When United are flooding forward and controlling agame, he is a joy to watch. When they have to dig in, however, he doesn’t always have the necessary temperament. He is often guilty of holding onto the ball for too long, for trying to force the issue, essentially overcomplicating matters for himself. He did this on Tuesday night and Wolves, who pressed hard and hunted in packs, often sniffed out the danger. To rub salt into United’s wounds, Pogba switched off and allowed Leander Dendoncker to run into the box untracked, the Belgian’s presence eventually forcing Chris Smalling to bundle the ball into his own net. 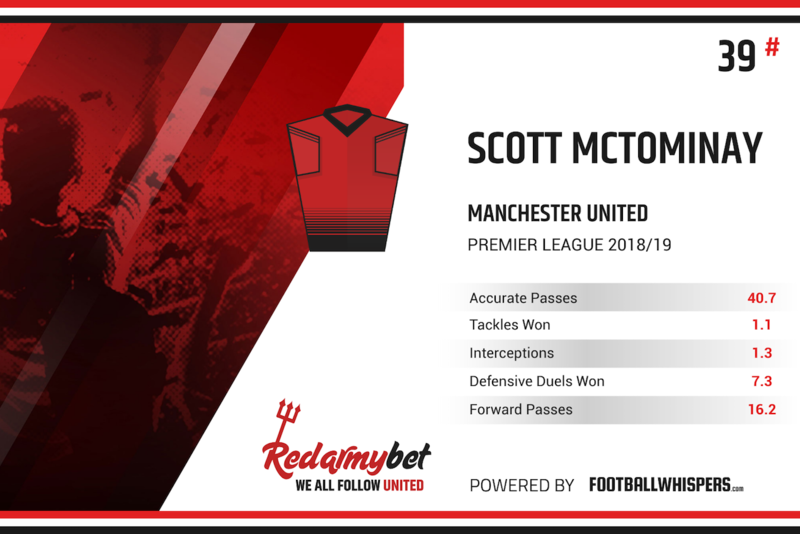 Scott McTominay hasn’t always been involved under Solskjaer – nor was he under Jose Mourinho – but the young Scot was one of the few positives on a dismal night. The 22-year-old, who signed a new long-term contract in January, built on a trio of hard-working performances against Palace, Southampton and PSG, scoring his first United goal with a well-driven strike in the 13th-minute. McTominay, in some ways the anti-Pogba, is anything but showy on the ball. He is methodical, mechanical and, at times, slightly awkward. But what he lacks in craft he makes up for in heart. He worked tirelessly in midfield against quality players like Joao Moutinho and Ruben Neves and can hold his head up high despite the result. Given that his two midfield partners, Fred and Pogba, cost the club a combined £150million, that was no mean feat. Fred continues to mystify United fans. At £50million, it’s easy to label him as a ‘flop’. And while it’s true he is still adapting to the pace and physicality of the English game, he was far from United’s worst player against Wolves. The Brazilian was the most accurate passer on the pitch with 93 per cent, created two chances, landed two tackles and made seven ball recoveries. His quick shifted pass to the right teed up McTominay for the goal, too. His night was going smoothly enough until a poor touch allowed Raul Jimenez to find Diogo Jota for the equaliser. It was a bitter pill to swallow after United’s excellent start and certainly a turning point in the game. For Fred, it’s often a case of one step forward, two steps back. Against Arsenal, he showed some encouraging glimpses before his foul on Pierre-Emerick Aubameyang gave the Gunners a penalty and put the game beyond United’s reach. United have a decision to make over Fred; stay patient or cut their losses. That’s now two defeats and a draw from three games against Wolves this season. Tuesday night was different to the FA Cup encounter, however, in that, as opposed to not showing up at all, United started brightly and lost control. In truth, the Red Devils should have been home and hosed at half-time. Romelu Lukaku failed to guide his fifth-minute header past Rui Patricio before Jesse Lingard passed up a similar opportunity. However, after riding the early waves of United attacks, Wolves settled, found their rhythm and duly outfought their visitors across the park. Like in the FA Cup game, Nuno Espirito Santo’s men didn’t give United a second on the ball and troubled the back-line with some clever counter-attacks. United aren’t the only team to have struggled at Molineux, of course. Liverpool lost here in the cup while Chelsea also fell to their energetic style in December. Not even Manchester City could power their way to three points. They are an extremely well-organised unit, packed with quality players, but it’s still disappointing that United failed to avenge the cup exit. As it turns out, managing Manchester United isn’t a walk in the park. Solskjaer had everyone fooled for a while but his ship is beginning to veer off course at a critical time of the season. United have now lost three of their last four games and prepare to face Barcelona on the back of a string of unconvincing performances. Defeats to Wolves and Arsenal stung but even the 2-1 home win over Watford on Saturday did little to silence the growing number of doubters. Having lost ground in the race for the top four, Solskjaer faces a fight to end United’s up-and-down season on a high. It doesn’t get any easier, of course. As well as the two games against Barca, United must travel to Everton before facing Manchester City and Chelsea at Old Trafford. Simply put, it would be immensely frustrating to miss out on the Champions League given the fine work Solskjaer and his coaching staff have done. Unfortunately, you can’t expect to perform like they did against Wolves and finish in the top four.